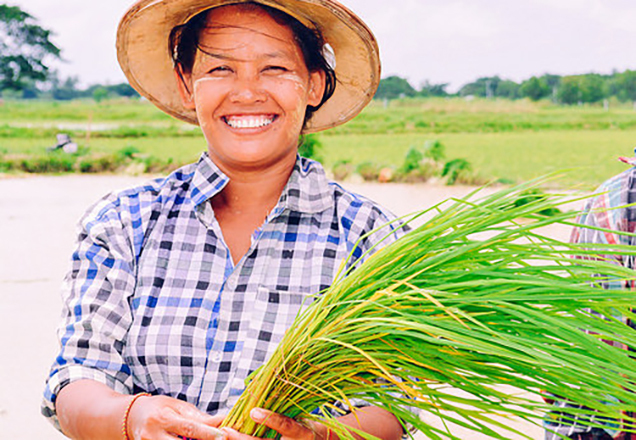 Photo: A local woman is happy to work at our farm, which provides for her and her community in an empowering way. We are pleased to share the good news that preparation for the rice harvest is going very well, according to schedule. There has been more heavy rain and flooding than this time last year, but reports from the field tell us that they expect the weather to clear up and provide excellent conditions for the harvest in late November or December. At this point in the process, 1-2 women are preparing the field for planting, working 8 hours a day. 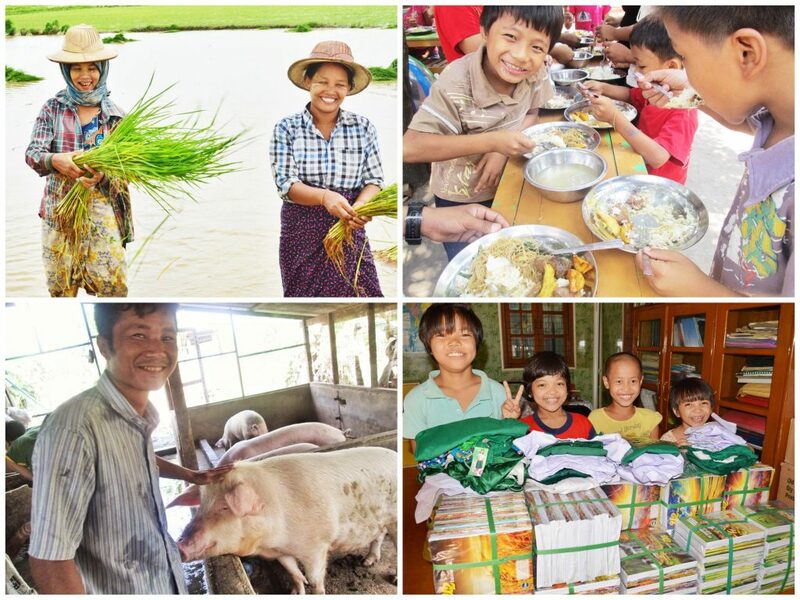 They are healthy and happy to work on the rice farm as it provides a staple in the orphans’ and the community’s diets. Our native team in Myanmar is able to serve almost 300 meals each day to orphans and staff in four different homes in the country. Not only will it supply the orphans with a staple in the local diet — the excess from the harvest will be sold at a time when the prices are best for the rice. These profits will help fund other nutritional, medical, and educational needs for the orphans. And as with most rice harvests, part of the yield produces what is called “broken rice” and “rice husks” suitable for pig feed at our piggery. The yield from this part of the harvest will supply our piggery with enough feed for 9 months, thus saving us over $3,000 — adding significantly to the farm’s profitability. In 2013, 33% of our in-country budget was supplied by profits from our farmland enterprise. This year we project it will reach at least 50%. Our goal is 100% sustainability, but there will always be areas for growth and capital needs, thus the number will likely always be somewhere under 100% as long as donations for such needs are received from the public. Suffice it to say, we’re very proud of our native team for their hard work in achieving such encouraging results — this will be our 3rd annual harvest since acquiring the farm in 2012. We look forward to reporting to you in December on the results of this year’s harvest.